Keto Resource Management and Timesheets is designed to give you clarity on your programme management. 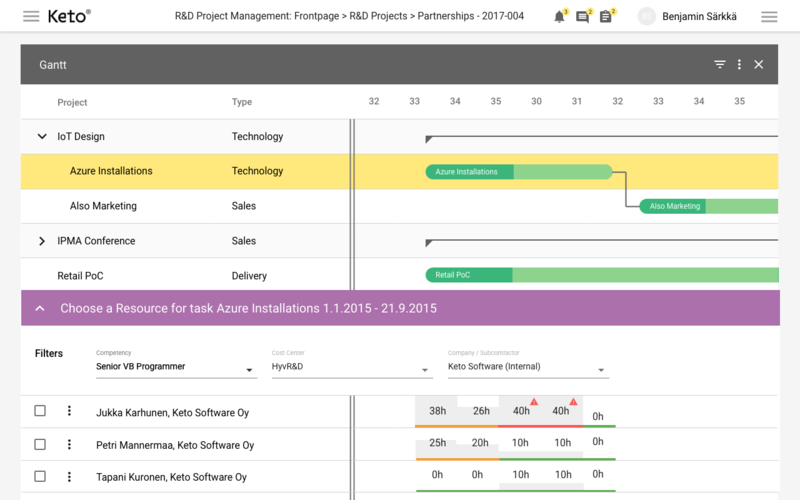 Visualisations of the resource load, status reporting, phases/tasks, risk management, task dependencies and GANTT presentations are simplified. Stakeholders can use forecasting/realised expenses and hour reporting to increase efficiency and make better decisions.